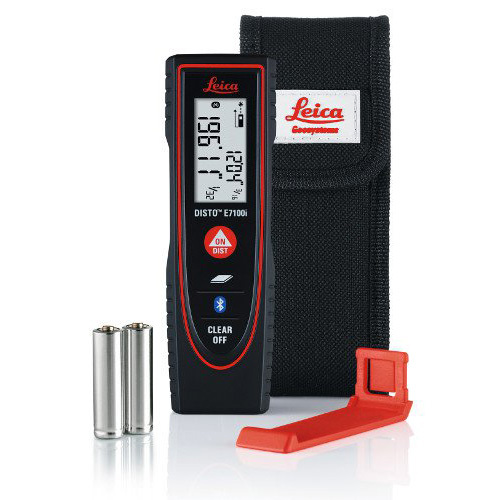 The Leica DISTO™ E7100i is a 3 measurement mode LDM with a 200' range that is accurate to 1/16 of an inch. 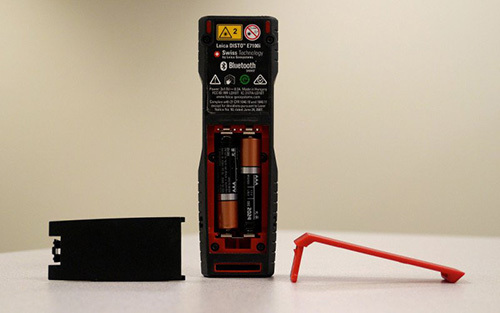 Its small, weighing in at 3 1/4 ounces with batteries, very easy to use, and the E7100i sends measurements via Bluetooth making it -- by far -- the least expensive Bluetooth LDM available. The ability to send distance and area measurements to mobile apps as you take them makes the E7100i the ideal tool for generating estimates, or inputting accurate interior measurements into modeling software on-site. 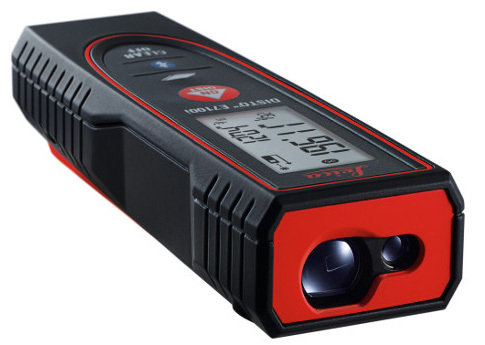 For more information on the features and functions of the E100i check out the clickable icon grid below. See the App Directory for a list of apps that all kinds of professionals are using to transform the way they work. 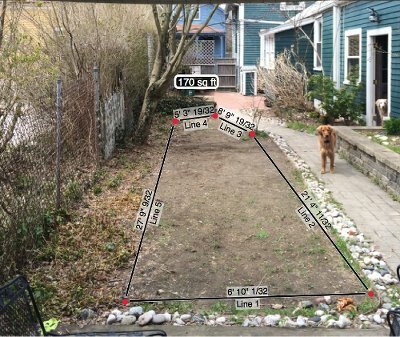 The free Leica DISTO Sketch App lets you take a picture with your iPhone or Android and layer measured lines on top of it. In area mode, the DISTO determines the area of a rectangle or square in two shots. Volume mode adds a third vertical shot to calculate volume.